The following are terms of a legal agreement between you and Dale Dugas Herbs© & Chinese Medicine and Martial Arts, LLC. By accessing, browsing and/or using this website (“Site”), you acknowledge that you have read, understood, and agree, to be bound by these terms and to comply with all applicable laws and regulations, including Federal and State laws concerning the marketing of products, including nutritional products. If you do not agree to these terms, do not use this Site. The material provided on this Site is protected by law, including, but not limited to, United States Copyright Law and international treaties. This Site is controlled and operated by Chinese Medicine and Martial Arts, LLC from its offices within the United States. Chinese Medicine and Martial Arts, LLC makes no representation that materials in the Site are appropriate or available for use in other locations, and access to them from territories where their contents are illegal is prohibited. Those who choose to access this Site from other locations do so on their own initiative and are responsible for compliance with applicable local laws. Any claim relating to, and the use of, this Site and the materials contained herein is governed by the laws of the state of Florida. The copyright in all material provided on this Site is held by Dale Dugas Herbs© & Chinese Medicine and Martial Arts, LLC or by the original creator of the material. Except as stated herein, none of the material may be copied, reproduced, distributed, republished, downloaded, displayed, posted or transmitted in any form or by any means, including, but not limited to, electronic, mechanical, photocopying, recording, or otherwise, without the prior written permission of Dale Dugas Herbs© & Chinese Medicine and Martial Arts, LLC or the copyright owner. Permission is granted to display, copy, distribute and download the materials on this Site for personal, non-commercial use only, provided you do not modify the materials and that you retain all copyright and other proprietary notices contained in the materials. This permission terminates automatically if you breach any of these terms or conditions. Upon termination, you must immediately destroy any downloaded and printed materials. You also may not, without Dale Dugas Herbs© & Chinese Medicine and Martial Arts, LLC permission, “mirror” any material contained on this Site on any other server. Any unauthorized use of any material contained on this Site may violate copyright laws, trademark laws, the laws of privacy and publicity, and communications regulations and statutes. Dale Dugas Herbs© & Chinese Medicine and Martial Arts, LLC company name, and other text, graphics, page headers, button icons, and logos, are service marks, trademarks, and/or trade dress of Dale Dugas Herbs© & Chinese Medicine and Martial Arts, LLC . All other trademarks, product names, and company names and logos appearing on this Site are the property of their respective owners. You should always consult with a health care professional before taking any dietary, nutritional, herbal or homeopathic supplement. Dale Dugas Herbs© & Chinese Medicine and Martial Arts, LLC does not represent in any manner whatsoever that the content of this site contains the opinions of a health care professional. We do not warrant and shall have no liability for the information that is provided on this site relating to recommendations pertaining to supplements for any and all health purposes. Furthermore, except as expressly and unambiguously stated otherwise, Dale Dugas Herbs© & Chinese Medicine and Martial Arts, LLC does not endorse, operate, control, or assume responsibility for any product, brand, method, treatment, information, or services on this site, in any way. The United States Food and Drug Administration has not evaluated the statements made on this site. All information contained on this site is for informational purposes only. Each person is different and the way you react to a certain product may be significantly different from others who have used the same product. Therefore, the information provided on this site is not intended to diagnose, treat, cure or prevent any condition or disease and should not be used as a substitute for your own physician’s or other health care professional’s advice. 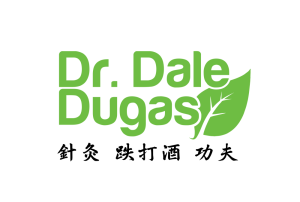 The content of this site is provided as a service to Dale Dugas Herbs© & Chinese Medicine and Martial Arts, LLC customers and Associate Members. This site does not contain information about all diseases, nor does it contain all medical information that may be relevant. All content of this site is only general health information and is only intended to facilitate communication between you and your health care provider. You should direct any specific medical questions about your condition, treatment, and care or diagnosis to your own health care provider. The information, products, and services contained on this site are provided “as is” without warranty of any kind, express or implied. More specifically, Dale Dugas Herbs© & Chinese Medicine and Martial Arts, LLC disclaims all warranties, including but not limited to, warranties of merchantability and fitness for a particular purpose. Additionally, Dale Dugas Herbs© & Chinese Medicine and Martial Arts, LLC does not represent or warrant that the information contained on this site or accessible via this site is accurate, complete or current. Any opinions, advice, statements, services, offers, or other information expressed or made available by third parties through testimonies or other postings are their own and not of Dale Dugas Herbs© & Chinese Medicine and Martial Arts, LLC or its affiliates, officers, directors, employees, or agents. Therefore, no warranties are made regarding the completeness, accuracy, or reliability of information distributed on this site from such parties. By accessing this site, you acknowledge that your use of this site is at your sole risk and that you assume full responsibility for all risk associated with your use of this site, including but not limited to, responsibility for all cost associated with the necessary service or repair of any equipment you use in connection with your use of this site, as well as any fees incurred through your use of your internet service provider. As partial consideration for accessing this site, you agree that: (i) in no event whatsoever will Dale Dugas Herbs© & Chinese Medicine and Martial Arts, LLC , or any other party involved in creating, producing, or delivering this site or any site linked to our site, be liable to you in any manner whatsoever for any decision made, action, or non-action taken by you in reliance on the information provided by this site; and (ii) the aggregate liability of Dale Dugas Herbs© & Chinese Medicine and Martial Arts, LLC or its distributors, arising from or relating to this agreement is limited to the purchase price you paid for any products bought through this site or by any method of purchase presented on this site, regardless of your form of action, including but not limited to, contract, warranty, tort, strict liability, negligence, malpractice, and/or fraud; and (iii) neither Dale Dugas Herbs© & Chinese Medicine and Martial Arts, LLC nor any of its directors, employees, or other representatives will be liable for damages arising out of the use of this site. This is a comprehensive limitation of liability and applies to all damages of any kind, including (without limitation) compensatory, direct, indirect, special, incidental, consequential, or punitive damages, loss of data, income or profit, loss of business or business image, loss of or damage to property and claims of third parties.